New Delhi, Aug 31: There is a need to recognise the role of woman in a household and regardless of her financial contribution, she should get an equal part of the property gained after marriage upon divorce, the Law Commission suggested today. It said all personal and secular laws should be amended accordingly. However, it cautioned that at the same time, this principle does not automatically translate to an 'absolute' equal split of property at the end of the relationship, as in a number of cases such a yardstick may bring an "unfair burden" to one of the parties. "Thus, it is important to retain the discretion of the court in such cases," the commission said in its consultation paper on 'Reform of Family Law'. It said all property acquired after marriage of either spouse be treated as a unit between the couple. It is often women who compromise on careers in order to support families and they also contribute to a major share of housework which is never calculated in monetary terms, the paper said. The society inadequately values housework, it said, adding for working women, childbearing results in a career break which affects their employment in a way that it does not affect their husband's career. 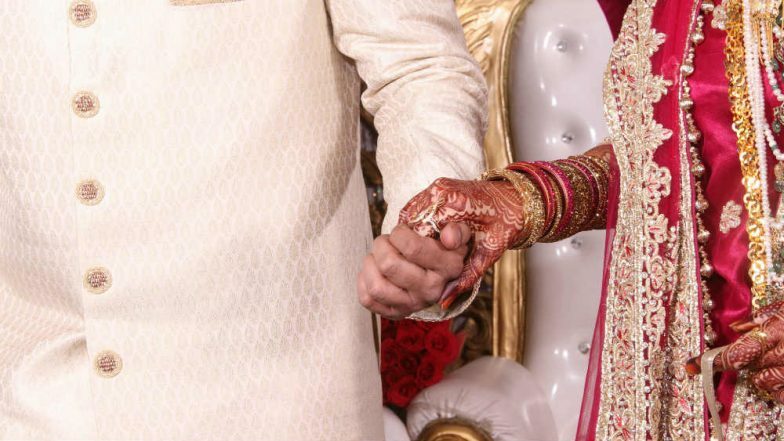 NRI Marriages Need to Be Registered Within 7 Days, Says WCD Minister Maneka Gandhi. "Therefore, it is important that regardless of whether the wife -- financially or monetarily -- contributes to the family income, her contribution to a household in terms of household labour, home management, and child bearing and care should entitle her to an equal share in a marriage and thus all property for income gained after marriage should be divided equally upon divorce," the paper said. It said this principle does not mean that inherited property will also be included in this division "but its value can be taken in to account by the court for determining maintenance and alimony". One Nation, One Election: Law Commission Recommends Amendment to Constitution For Simultaneous Polls. The paper suggested that the Hindu Marriage Act, 1955, Special Marriage Act, 1954, the Parsi Marriage and Divorce Act, 1936 (for Christians), the Dissolution of Muslim Marriages Act, 1939 can be amended to reflect this change. The Special Marriage Act is described as a 'secular law' as inter-faith marriages are solemnised under it. Instead of a full-fledged report on a uniform civil code, the law panel preferred a consultation paper as it had little time at hand to bring out a comprehensive report.